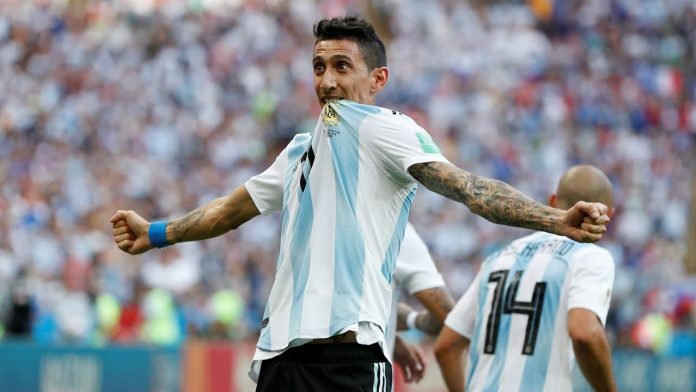 Angel DI MARIA will reportedly make the Argentina team. A report by TyC Sports states that the PSG man will be called-up to the Argentina national team. 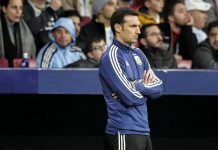 Coach Lionel SCALONI will include him in the squad for the matches next month against Venezuela and Morocco. IMO Armani should not be there. Romero, Benitez, Andrada, Gazzaniga are better to me. I also don’t think Gonzalo Montiel is better RB than Leonardo Godoy from Talleres. In contrary. Please respect, Brother Romance KING..
A. Fitness issues (injured in 3 out of the 4 last tournaments), which isn’t surprising because he runs himself ragged when playing for club. B. Inconsistency, where one game he’s brilliant and another 3 games he’s a headless chicken trying to do too much. With all that being said I can’t deny that Angel (on his day) is a world class player that can change a game and I wouldn’t be against the idea of using him as a backup where he can run a tired defense ragged i.e. a supersub. I still think that Pity is potentially the best option on the LW especially after what I saw from him in copa lib and the friendly against Colombia. There is ofcourse the issue of his match fitness since the MLS hasn’t even started yet and Pity hasn’t kicked a ball for a few months but that shouldn’t stop him from being called up to the upcoming friendlies where we get to see for sure whether he’s match fit or not. 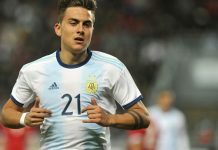 Other options include DePaul (better as a LM), Lanzini (still yet to regain his match sharpness even he looked good last week), A.Correa (was disappointing in the position against Brazil) and the oft overlooked Lucas Ocampos (although I think he’d make a much better b-2-b midfielder). Agree with you. 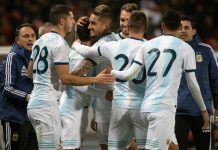 First give a chance to Pity (first), Cervi, De Paul, Lanzini to play once or two with Messi (Di Maria knows him enough long). Only if it will not work Di Maria should back to be starter. Another good thing with benching Di Maria is clear sign he will got byt his from coach that he must now fight for his starting spot unlike it was in past. Cervi and De Paul over ADM never makes sense and is straight up ridiculous. Like saying Simeone over Aguero. The gulf in talent is simply too great. But you can’t deny that so far Franco Cervi looked really good with his NT performances. Our no 5 could have been the destroyer battaglia , but unluckily he is injured and out for months. No.5 Ivan Marcone from Boca will be also called up. I suppose in place of Gaston Gimenez. (1) He needs a team who can win the ball back easily, as he loses the ball very frequently. (2) He needs someone or a few play makers to pass him the ball only when he is isolated on the wing or in a quick transition/counter attack. I just don’t see this Argentina team can provide him any of these. So Di Maria IN and from what it looks like, Kun is OUT??! He is in form, scoring and full of confidence but then again as others have stated, injury-prone and a headless chicken running around the pitch aimlessly. I hope he contributes and show us more scoring like that ridiculous free kick and his goal against France when given a chance. I must respect him for his passion for wanting and needing to play for ARGENTINA and not shying away from making it public, I LIKE THAT A LOT. Let’s all be honest with ourselves. It’s a fact that Angel dimaria has been PSGs best player this year..(.Mbappe a close second) and for LEft Wing for Argentina, whom do we have that is better at this point in time? I’ll wait…. no one… not pity, not martineZ, not de Paul, …unfortunately it’s true because I would want dimaria to be a super sub but he is the best we have currently. the only other name to consider at that position and at this current time, Papu Gomez. And that’s not going to happen! I honestly don’t mind him being on the team. He is a good mentor. Let’s see what will he bring. Yupp..i also agree with Gonzalo opinion..